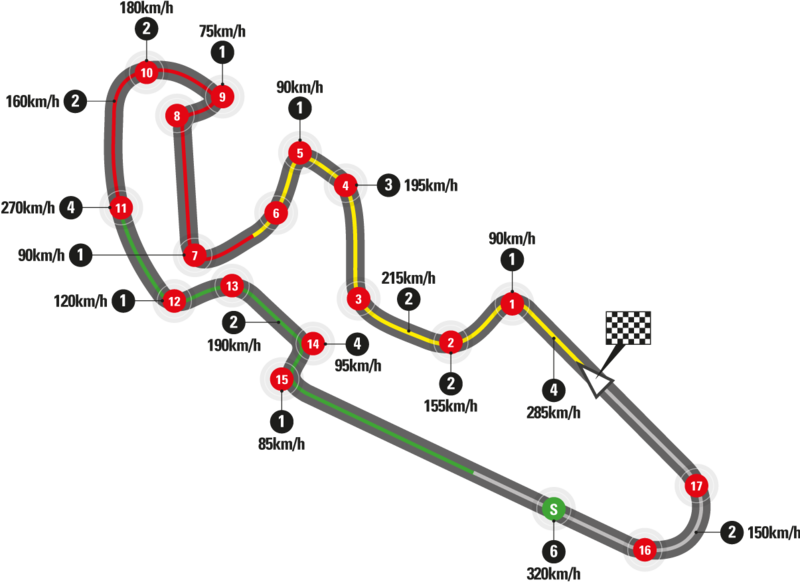 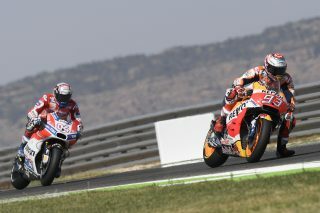 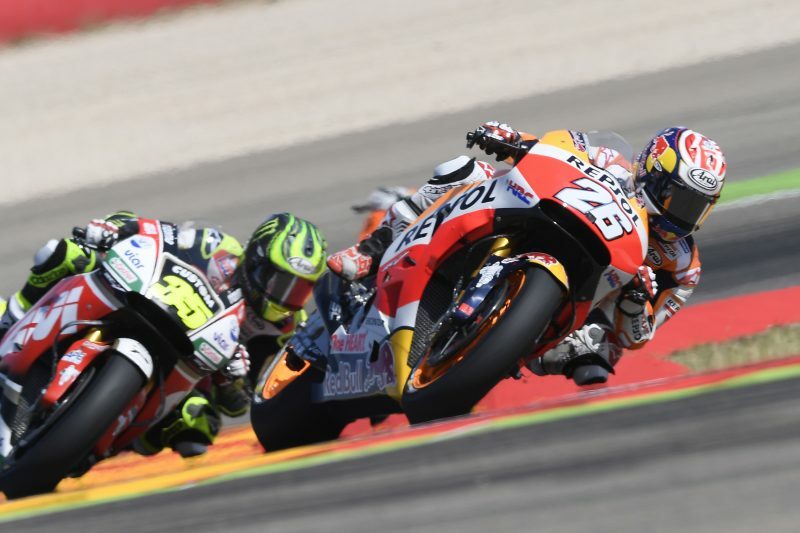 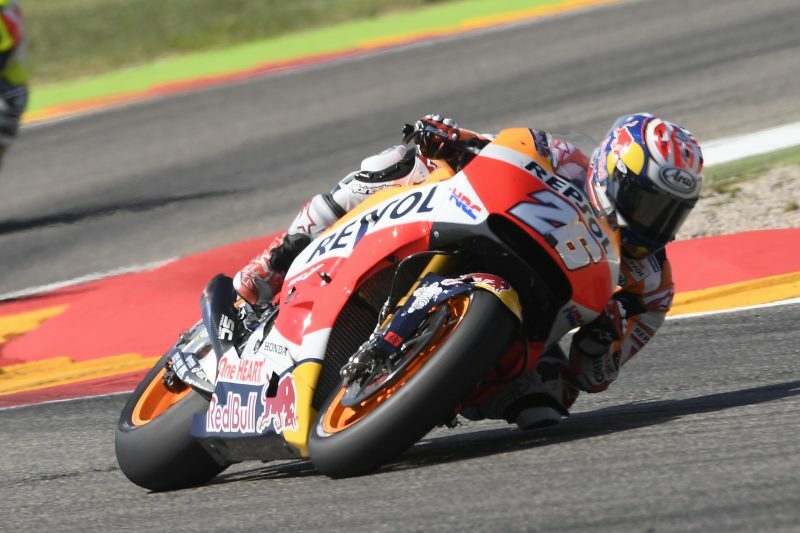 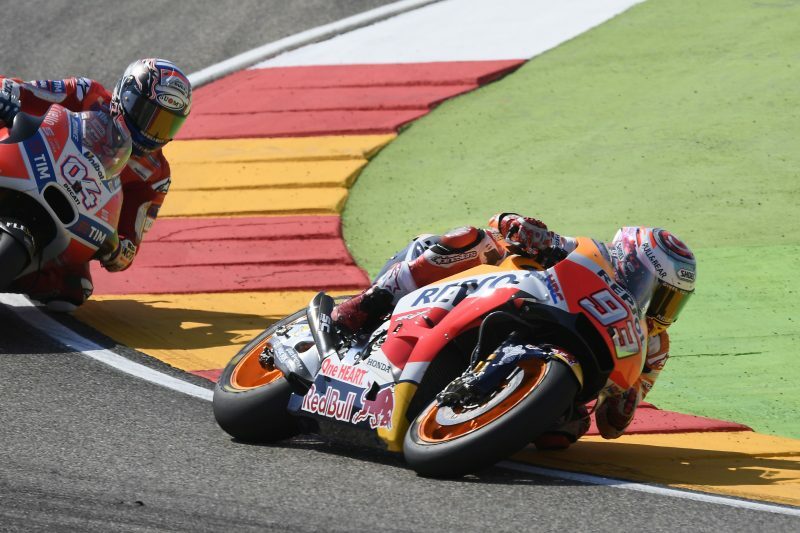 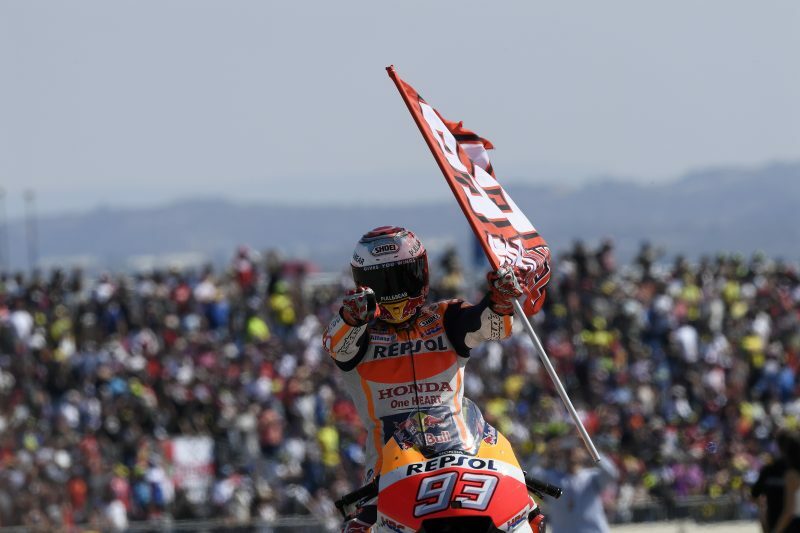 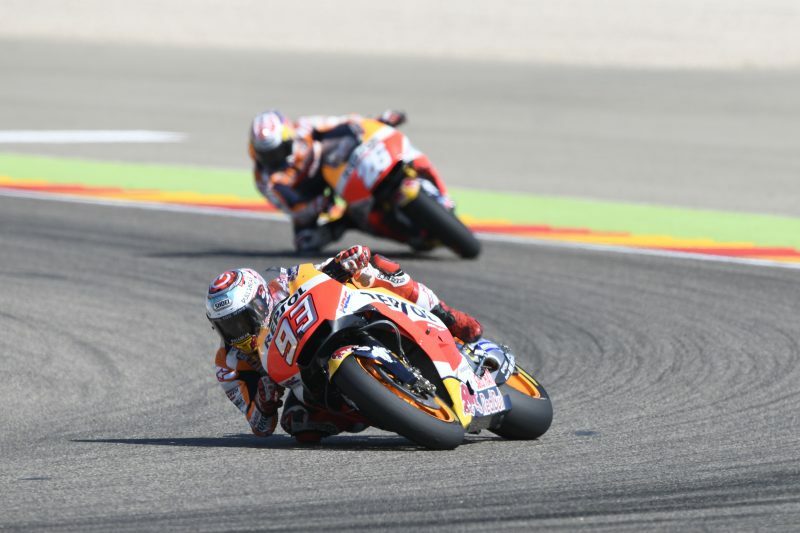 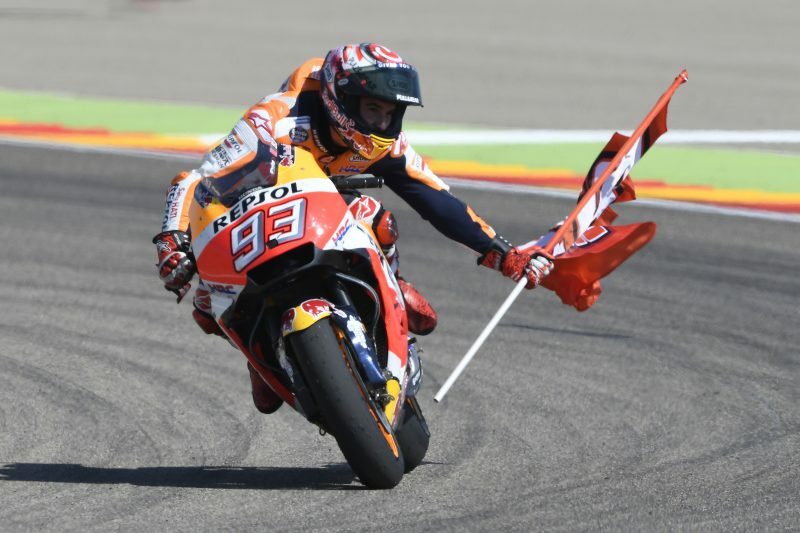 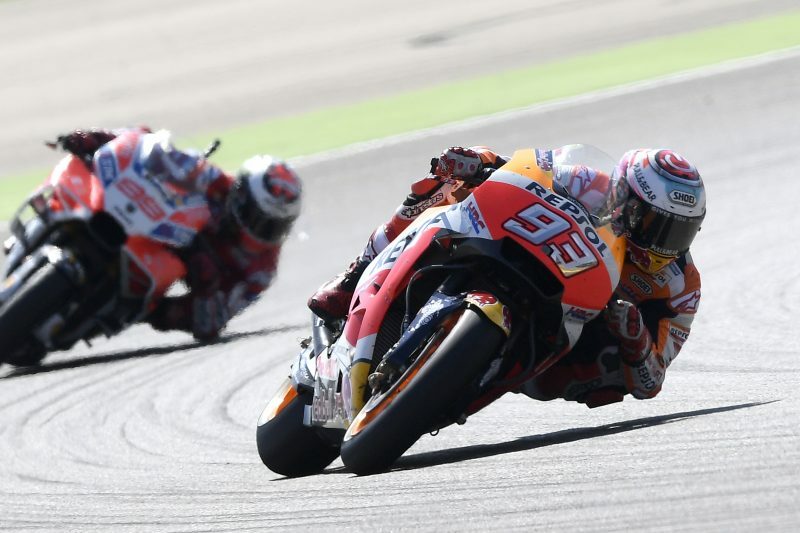 Marc Marquez and Dani Pedrosa scored a fantastic one-two result in today’s Aragon Grand Prix, starting from the second row of the grid, the former on a hard-hard Michelin tyre combination, the latter on medium-medium. 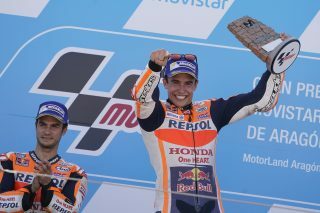 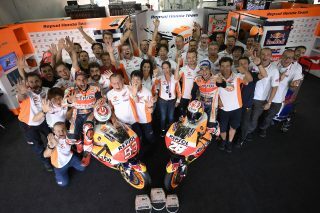 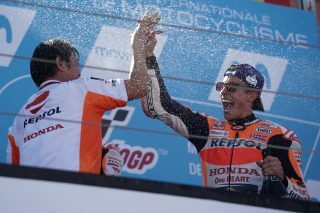 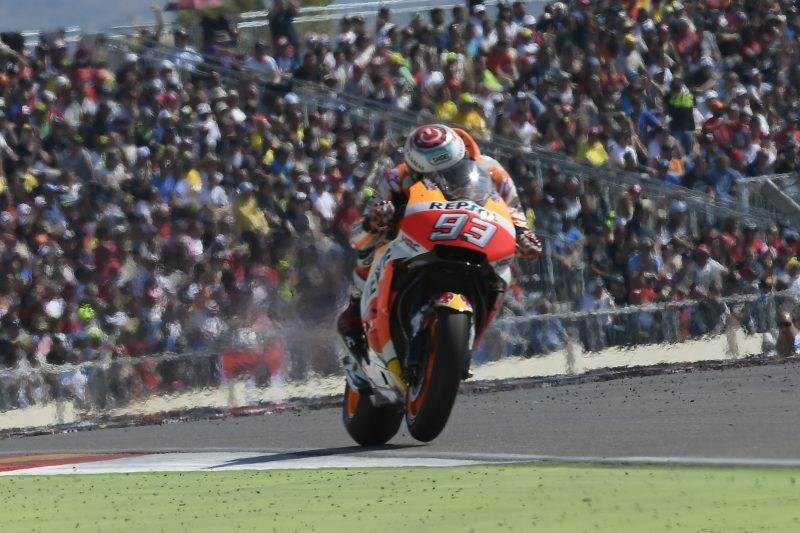 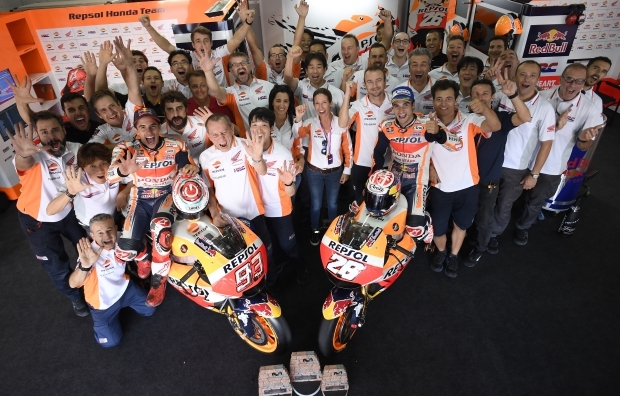 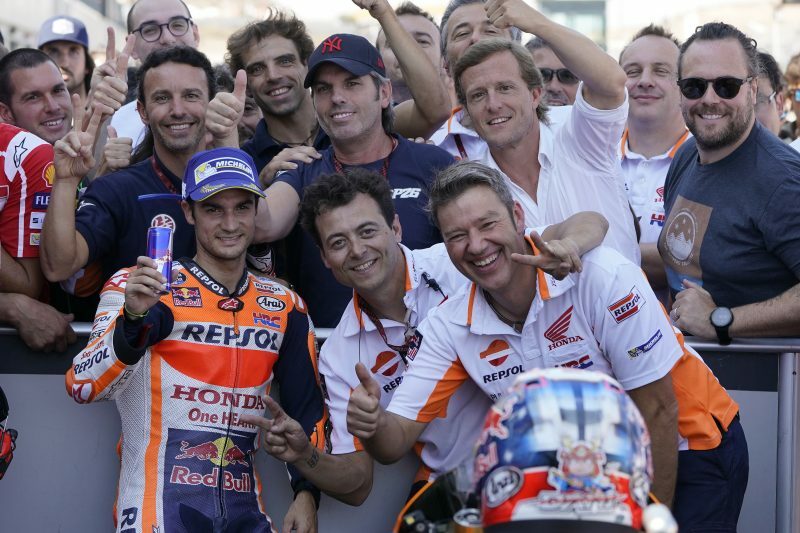 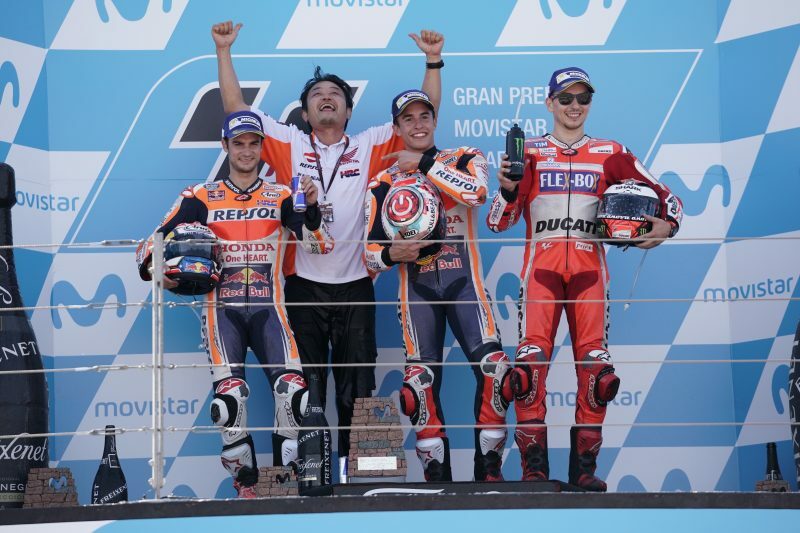 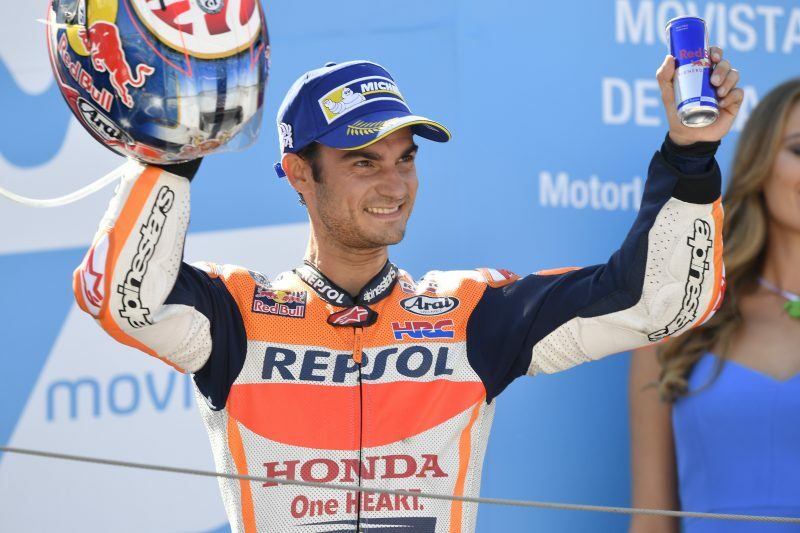 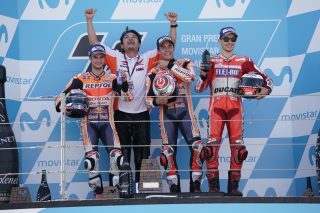 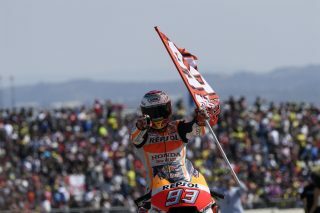 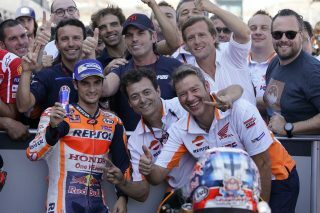 Both Repsol Honda Team riders fought their way forward to take the squad’s seventh double podium of the season. 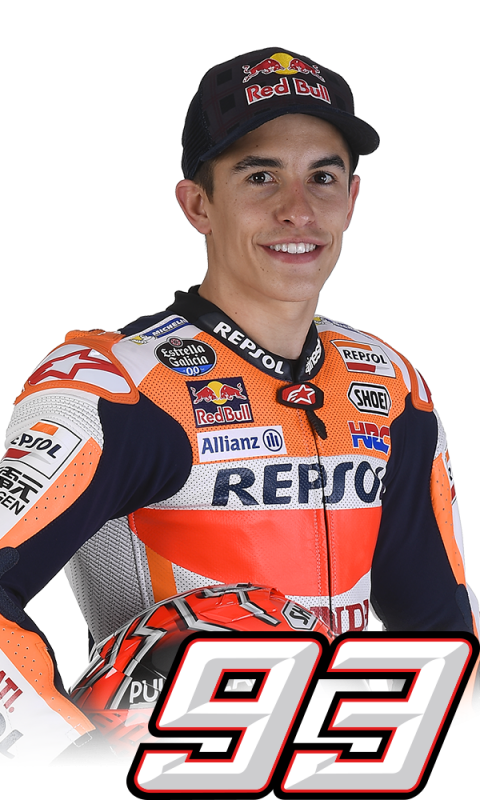 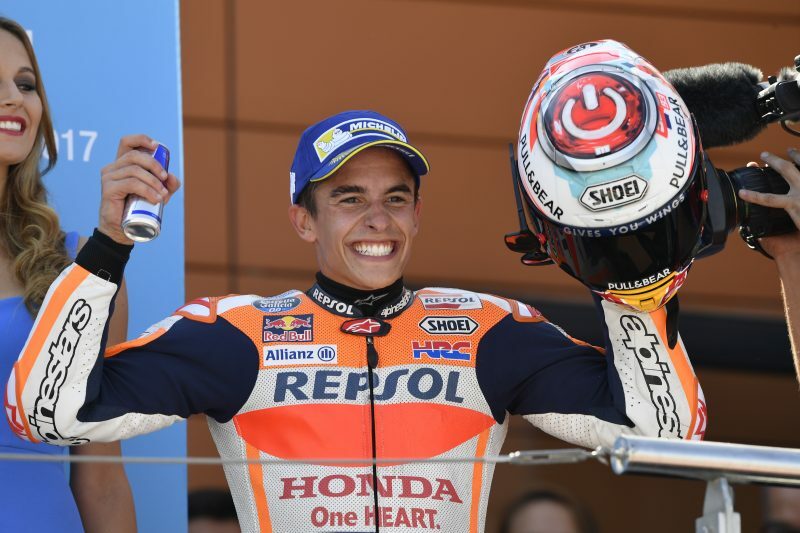 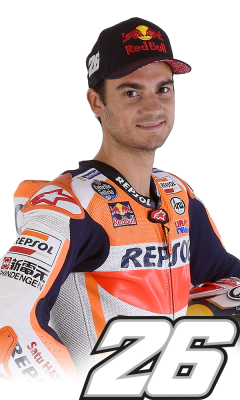 After setting the race fastest lap in 1’49.140, Dani took his 111th podium finish out of 195 races in the Premier class, in which he now has the most starts of any Spanish rider (Carlos Checa being second with 194). Dani’s eighth podium of the season moved him up to fourth in the Championship classification with 170 points, 54 down on his teammate with four rounds to go.